The Croydon tramlink has reopened after last week’s fatal crash amid a sombre mood in the local community and a revised speed restrictions for the service. 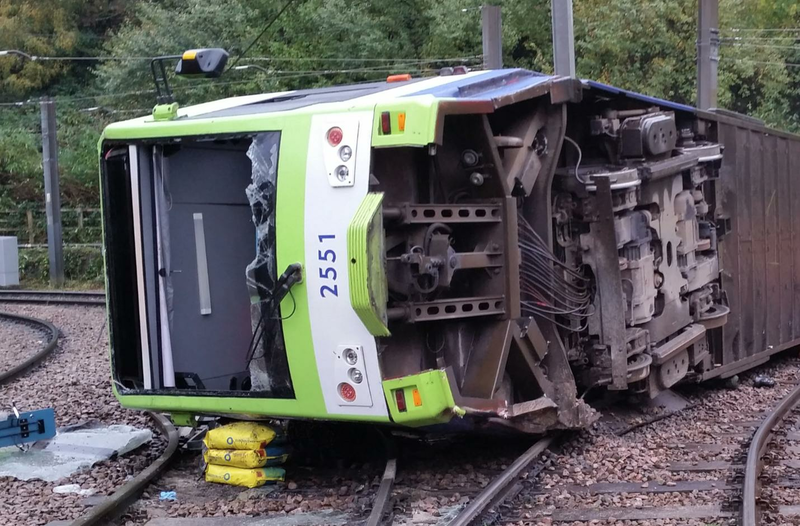 The Tram derailed close to Sandilands station a week on Wednesday. The tragedy claimed the lives of seven passengers and left over 50 injured. Some still remain in hospital, it is believed. LBC’s reporter Rachael Venables took a ride on one off the first services, a trip which you can watch in the clip above. The community in South London remains distraught at the shock crash, which crash investigators say is likely to have been caused by excessive speed. Local football team Crystal Palace have offered their support to the families of those who died, as has City Hall.